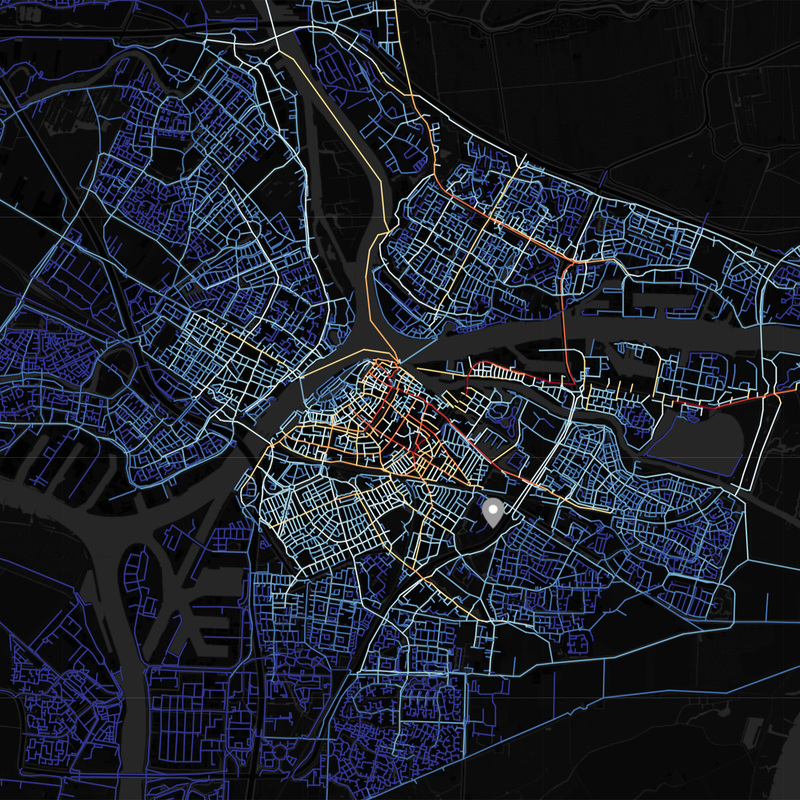 Emergent City is a research project into how smartphones and new mobility options will reshape our cities. I created a website that presents the process and result of the project. The website contains long yet easily readable texts about the future of mobility and interviews with citizens. 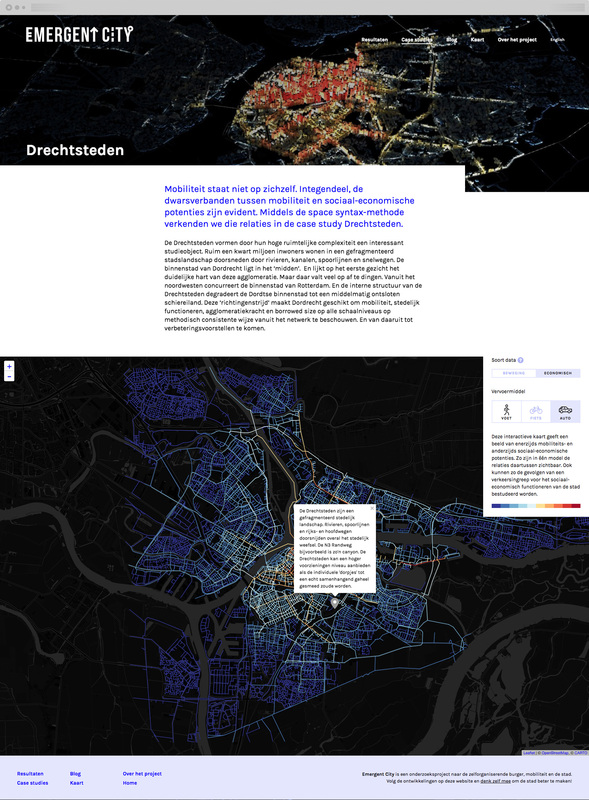 The most challenging part of the website is the map for the case study: a space syntax model of Dordrecht (The Netherlands) that shows the city’s mobility pain points for different types of traffic in ≈ 30.000 data lines.